Hey Everyone, even though there is still snow on the ground and the temps are freezing at night I am trying to get some garden seeds to grow. 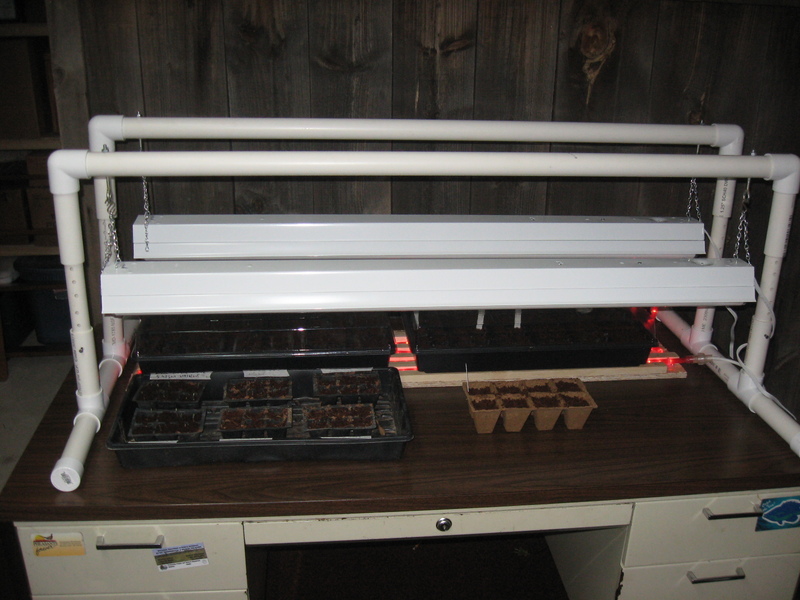 Thanks to my new grow light set up and heat mat I am able to get seeds started that I never could have before. I am also almost done with my hoop house so my whole gardening plan for this year has been super charged! This year is starting out to be one of many firsts for me. Besides the above mentioned items I am also planning on really focusing on using heirloom seeds so that I can start saving them myself. Not only is this cost-effective, but I like how these seeds will actually condition themselves to my soil and environmental conditions. How cool is that? I’ll actually be writing more about that throughout the summer. 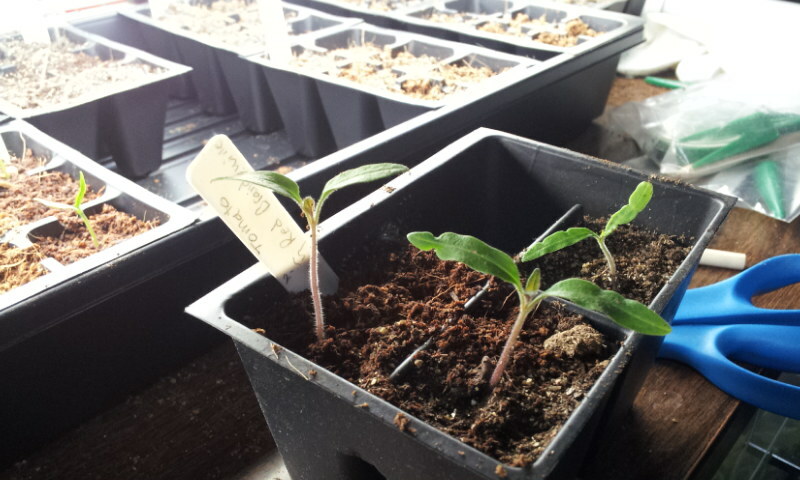 For now, here are a couple pictures of my tomatoes and peppers that I started about 2 weeks ago. If you enter your e-mail address in the box on the right side of the page and click the follow button I will send you an e-mail when I add to this post or write a new one. Thanks! 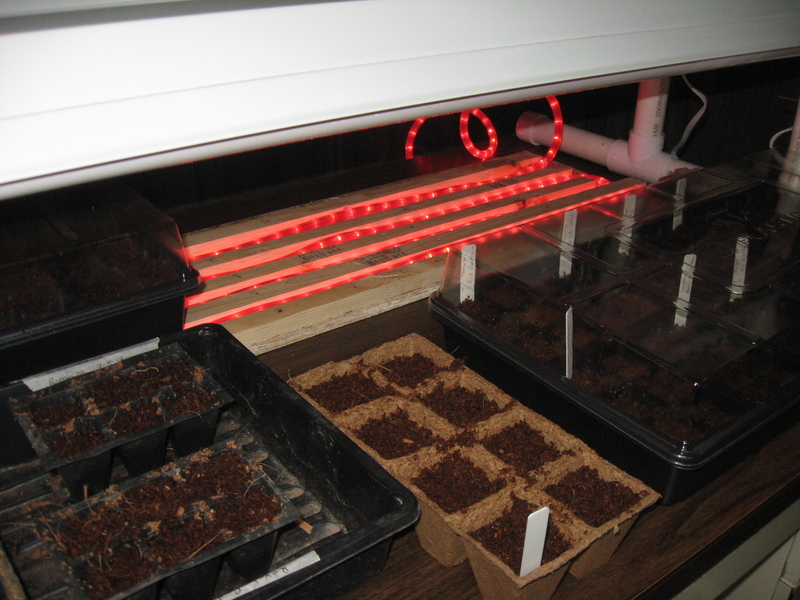 Below is a picture of one of my flats of seeds that I have started beneath my new Grow Light and DIY Heat Mat. Needless to say I am thrilled with how this is working out. Leave me a comment if you think you know what it is. Don’t forget to put your e-mail address in the box to the right and click the follow button. I’ll be doing more contests and if enough people start following I will give away some cool garden related prizes! We have had such a long drawn out, yet mild winter it seems like spring should be here any day! 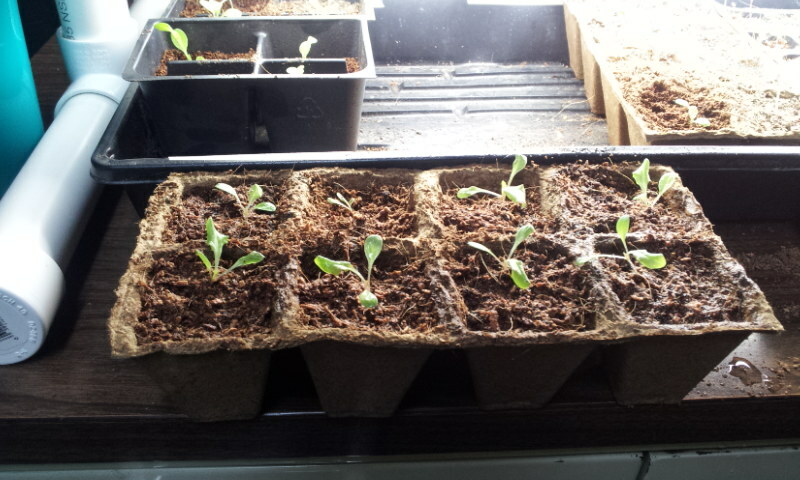 A couple of weeks ago I planted 6 different varieties of lettuce. You can find that here. 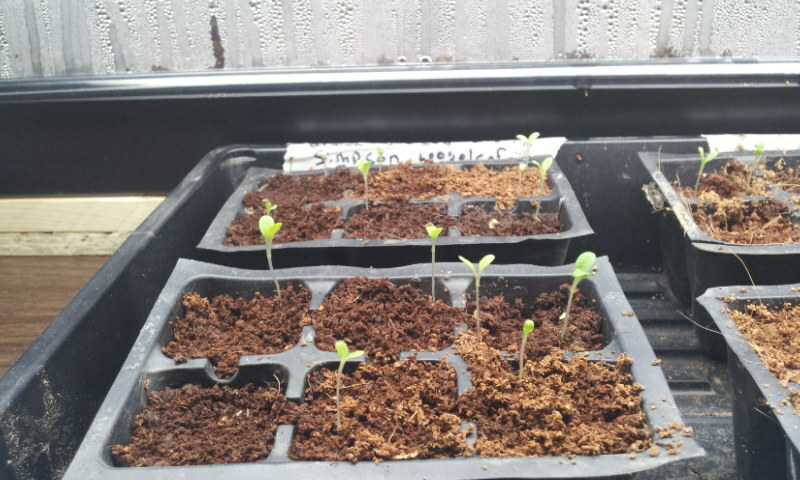 Today I’ll add some pictures of what I have now and you can see that some are doing better than others. 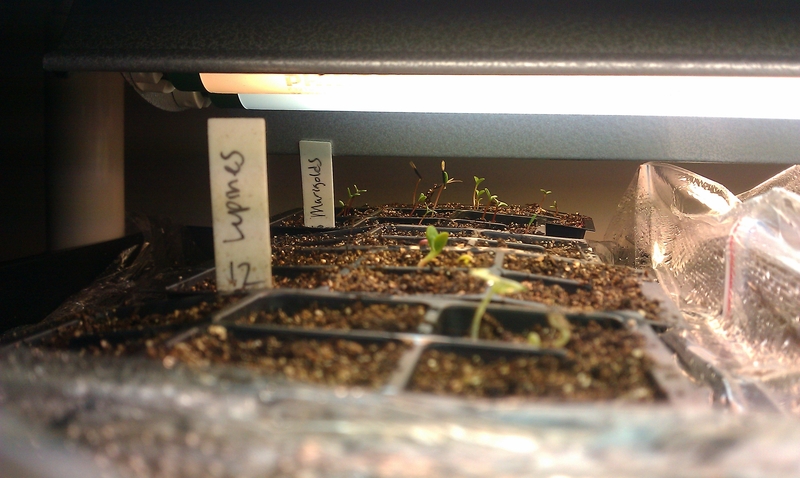 Some seedlings were lost because I had my lights adjusted wrong. 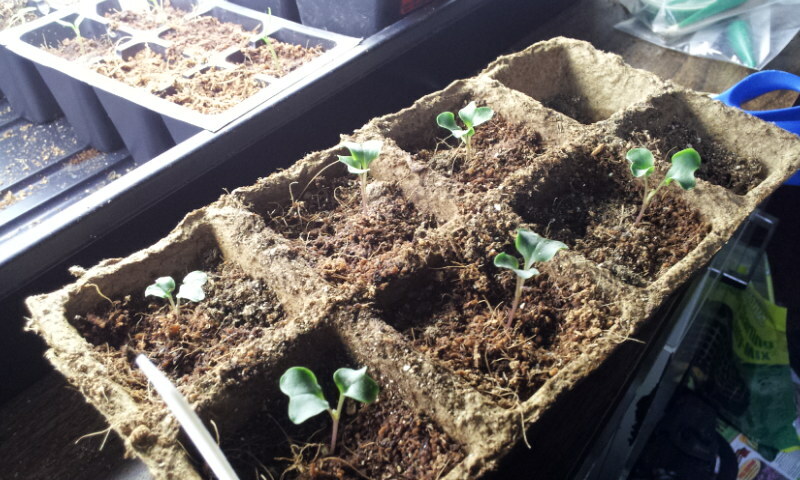 But I was able to replant and am still in the lettuce business! First up is the Simpson Elite. If you remember the last post I had the planted in 6 cell pots. 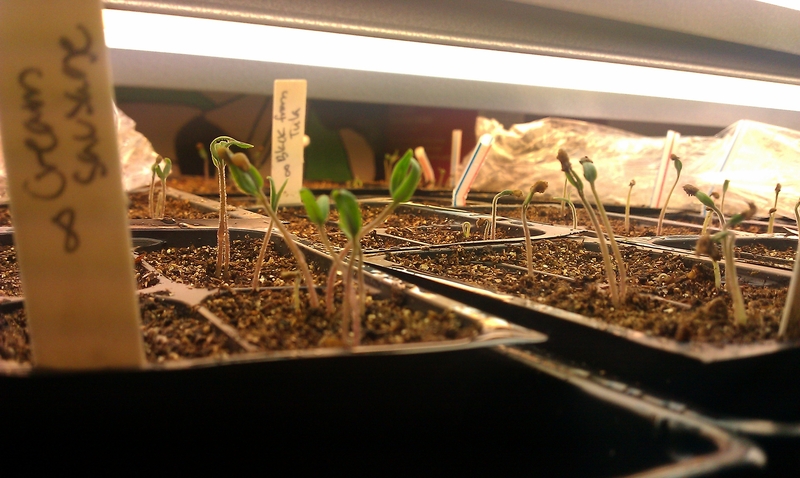 Because my lights were not at the right height the plants grew way to fast and got very spindly. 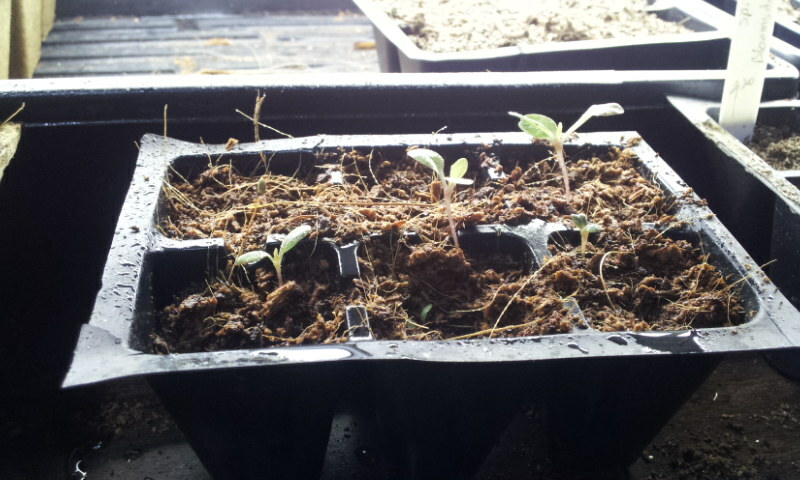 So I replanted them (losing a couple) in the larger 4 cell pots. Next is the Black Seeded Simpson. 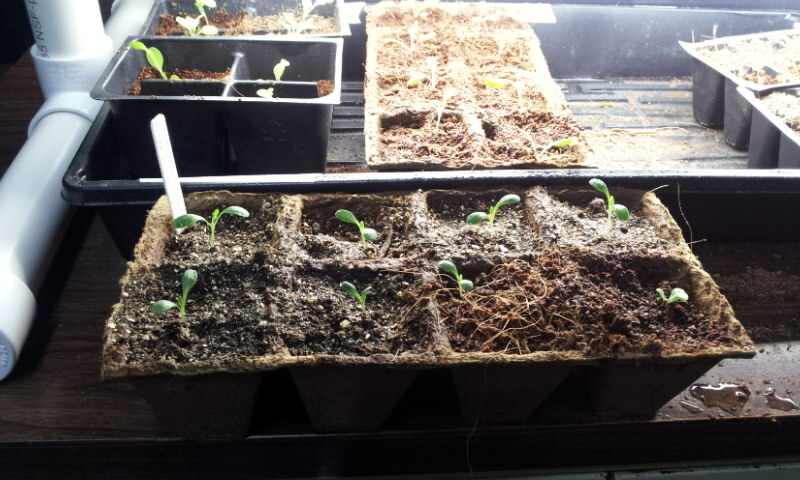 I am hopeful that by the end of this week we can have the Hoop House completed and move these all outside! 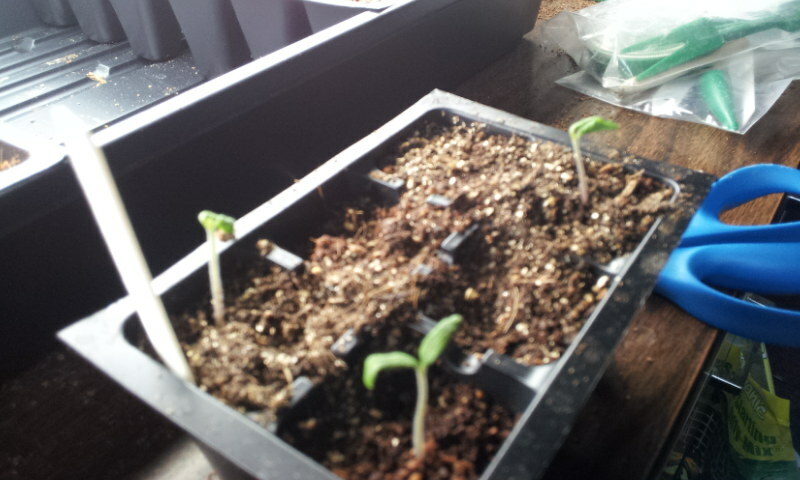 I decided to take the plunge and try to start seeds inside again. This is easier said than done since I live in Wisconsin. We have had a very mild winter and the gardening bug has bitten bad! 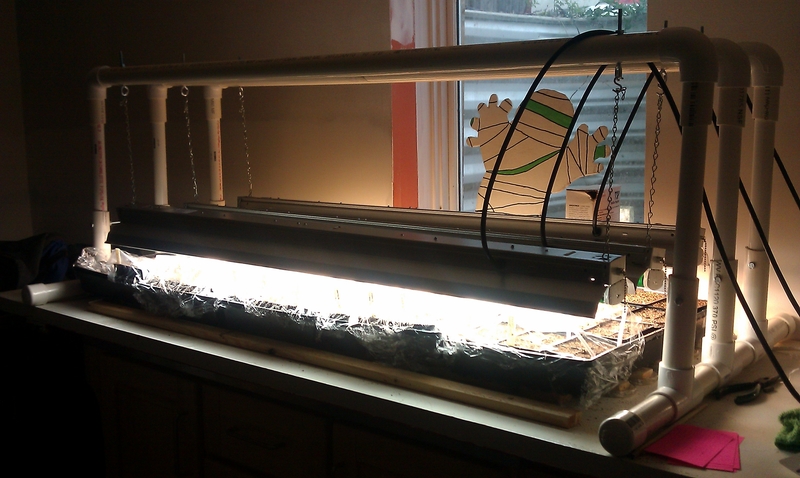 After doing some research online I decided to build a pvc frame for a fluorescent light. 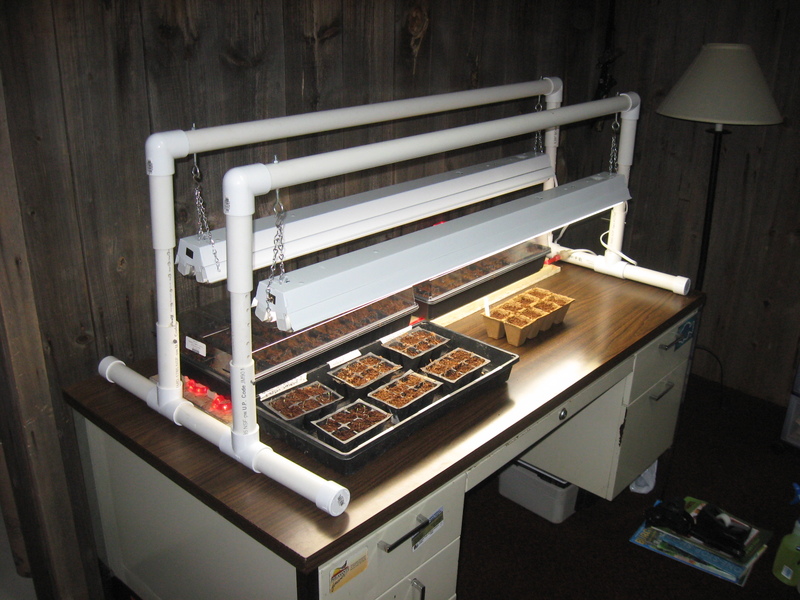 Actually I decided to make a double hanger so I can put four trays of seeds under my lights. I also made a heat mat out of a strand of rope lights. If I can find the link to the original source I will add it in here. Again, the pictures can tell the story better than I can. But I will say that I am quite impressed with the heat mat. The stand is in our rec room downstairs which stays about 62 degrees. Most evenings there will be a fire in the fireplace that will raise the temp to about 75. 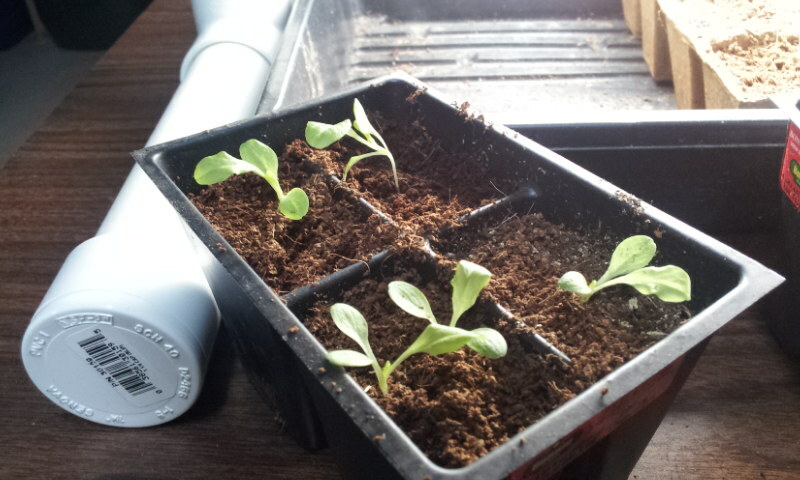 It’s really only for a few hours so I don’t think it makes much of a difference to the plant stand. Anyways, the rope lights have been on for about 16 hours and this morning the soil temp was just under 80 degrees! Room temp is 62. Let me know if you have any questions and please leave a comment! The tray and 8-pack in front are lettuce. So they don’t get any heat. 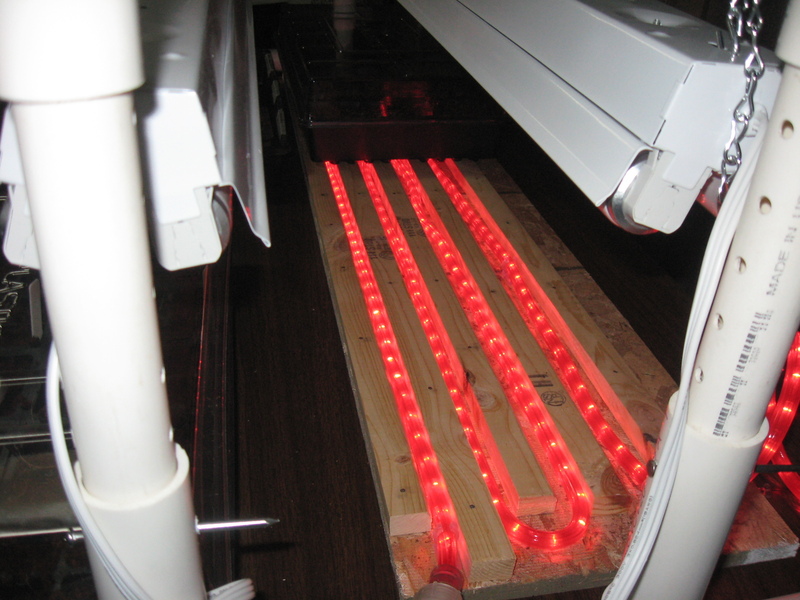 The two trays in the back are on the heat mat. 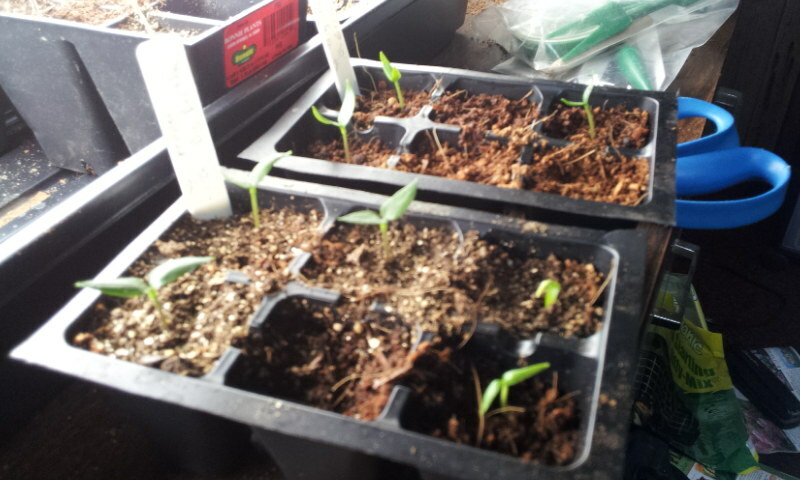 tomatoes, Peppers, etc. I pulled one of the trays off the heat mat so you could see it better. The height can be adjusted either by moving the chain links on the lights, or by lifting up the sides of the frame itself. I wanted to add a couple of pictures to this post now that it is a day old. 1st of all, I am totally impressed with the rope lights as a heat source. 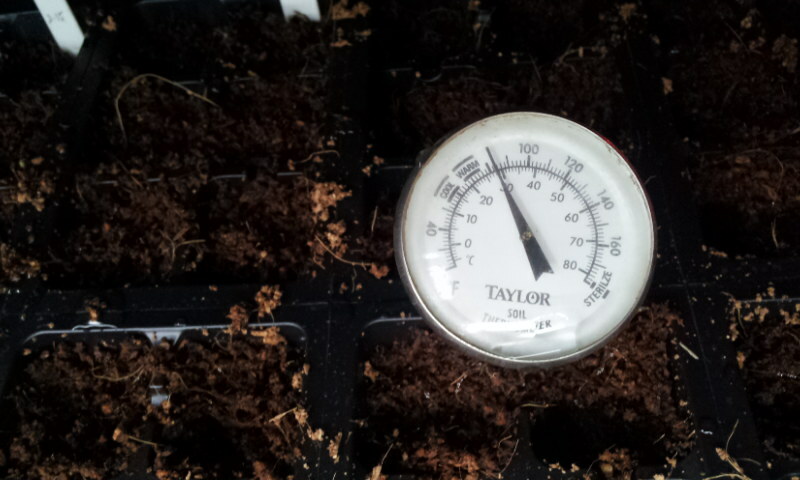 Below you will see the thermometer that is inside the tray on the heat mat. About 82 degrees! And the room temp is a stable 62. 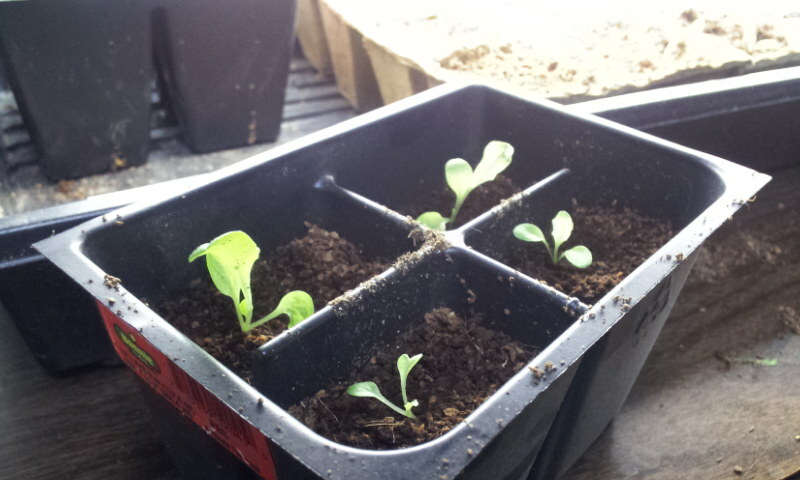 Next pic is some lettuce that was planted on the 8th of February. 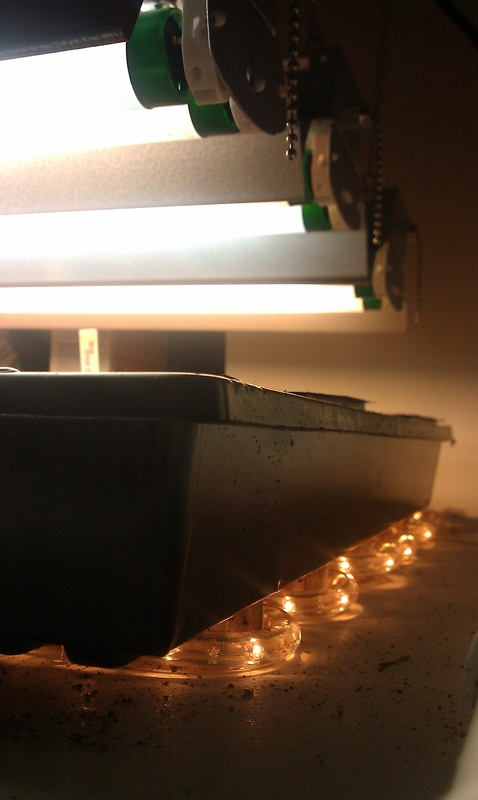 It took two days to start to germinate and now has 12 hours of light. I am expecting big things from this! Here are some pictures that Kelly sent to me showing how she made hers! I like it.